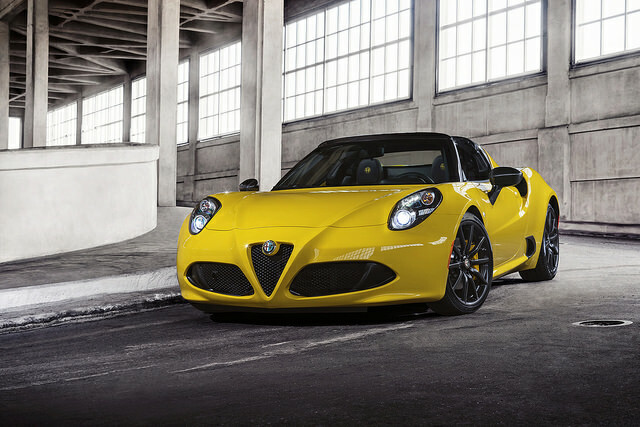 The 2015 Alfa Romeo 4C is one of the cheapest cars on the market that look like high end exotic cars. With a pending debut in North America, the car has two seats located in front of the mid-mounted engine, and it has the feel of a $300,000 Ferrari. The two-door couple has rear wheel drive and is powered by a turbocharged COHC 16-valve inline-4 rated at 237 horsepower and 258 lb-ft of torque. The transmission on the Romeo 4C is a six-speed dual-clutch automatic with a manual shifting mode. The top speed of the car is 160 MPH, and it can go from zero to 60 MPH in just 4.5 seconds. The fuel economy of the car is also above average with a 24 MPG (city) and 32 MPG (highway) overall rating.